A town’s community council has had an injection of youth after students successfully stood for election. Three of the 15 people who will form the new Royal Burgh of St Andrews Community Council are students of St Andrews University. Paloma Paige, who successfully campaigned for a vote to be postponed to allow students the chance to stand, said it showed students wanted to stand up for the town they had come to love. Of the town’s 16,500-strong population, almost 9,000 are students. As there were fewer nominations than places on the community council, a ballot was not required and all nominees were duly elected. A stated goal of Ms Paige’s presidency is to improve relations between the study body and the local community. Mohamed Hammeda, Dan Marshall, student association president Paloma Paige and Matthew MacDonald. She said: “Students have always engaged and contributed to the town in a myriad of ways, but not always in a political sense. “The St Andrews community council has, for some time, included three student representatives from the students’ association who are co-opted onto the council. “However, having students actually stand for positions on the council was not a common occurrence and this led to a rather unbalanced membership of the council. 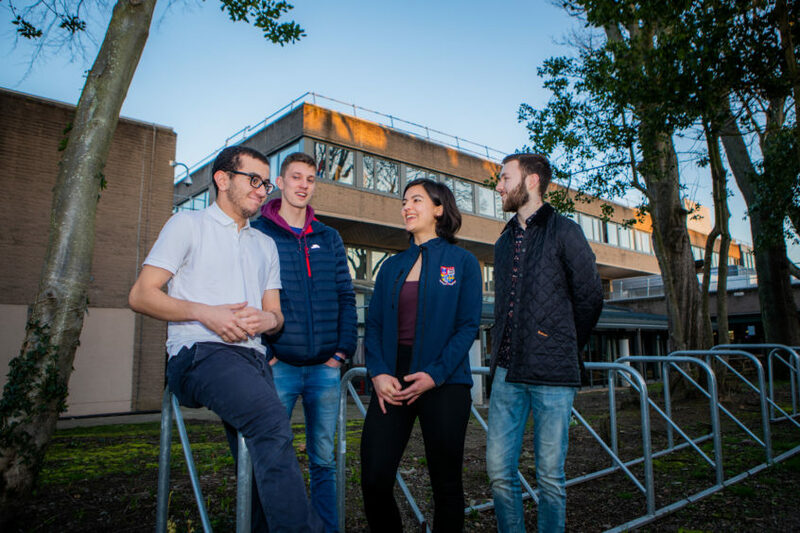 “The results of this round of nominations demonstrates, to me, that students do feel like full members of the local community; that they are keen, not only to speak up for their peers, but also for their neighbours and for the town they have come to love. The student members are Mohamed Hammeda, Matthew MacDonald and Daniel Marshall. 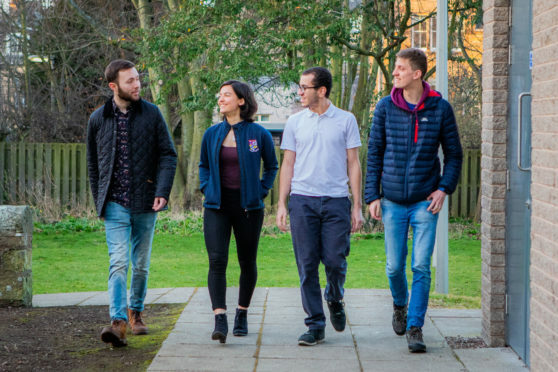 The St Andrews election, originally scheduled for last October on the same date as others across Fife, was postponed as nominations would close in August before students had returned from the summer break. Fife’s returning officer Steve Grimmond concluded it was in the interests of the wider electorate to maximise the opportunity for participation in community council elections. Student involvement in local politics has been galvanised in recent months by the issue of HMO (houses in multiple occupation) thresholds in the town, capping the number of rental properties with three or more bedrooms. A campaign was launched by student leaders encouraging students to register to vote. After the close of nominations last Thursday, eight other community councils in Fife are also to reform without a vote. They are Boarhills and Dunino, Cairneyhill, Leven, Lochgelly, Methil and Strathkinness. A vote will be held for Windygates community councillors on March 21. There were insufficient nominations for South Parks and Rimbleton and Auchmuty and Woodside community councils.